The following description is for the entire product. 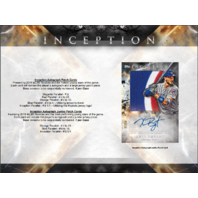 Topps Inception Baseball returns to deliver autographs and autograph relic cards of the year’s most collectible and up-and-coming rookies and young stars, right before the start of the 2018 MLB season. 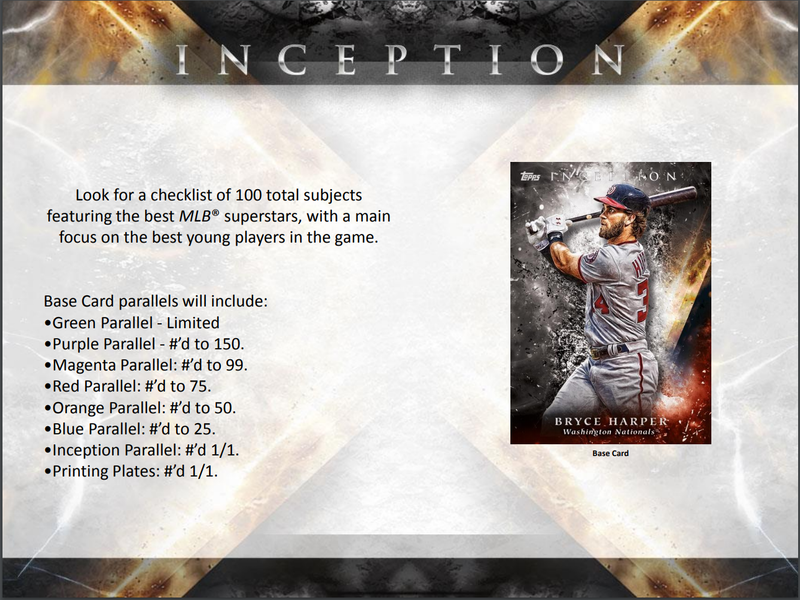 Look for a checklist of 100 total subjects featuring the best MLB superstars, with a main focus on the best young players in the game. Featuring ON-CARD autographs of the top 2018 MLB Rookies and Emerging Stars of the game. Base versions to be sequentially numbered. - Gold 1/1 Parallel (Signed in Gold Ink) - #’d 1/1. 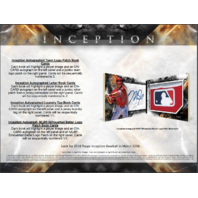 Autograph Turning back the calendar to when these MLB superstars made their Big League debuts. Autographs are signed ON-CARD. 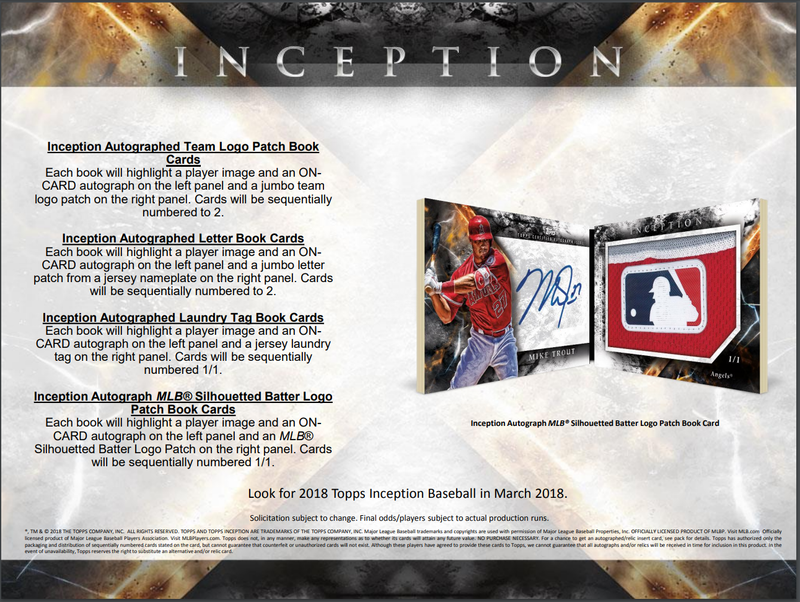 Base versions to be sequentially numbered to 20. 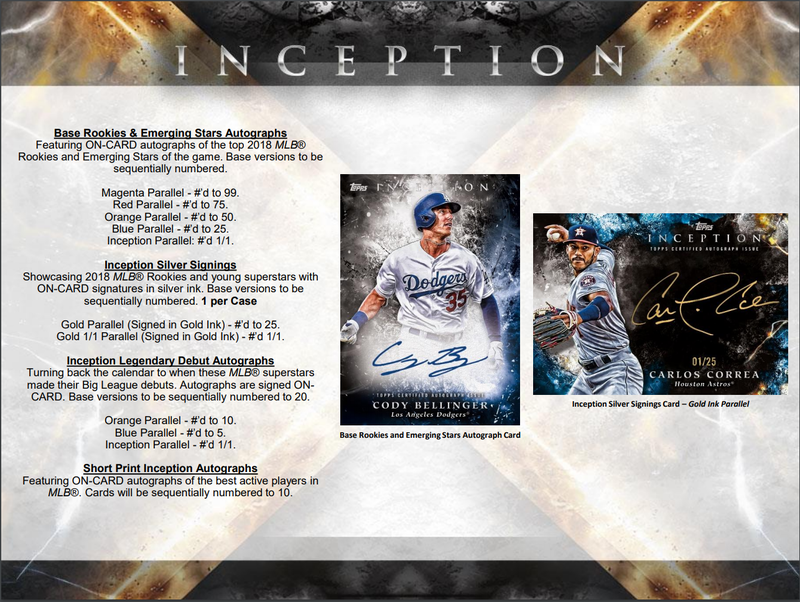 Each book will highlight a player image and an ON-CARD autograph on the left panel and a jumbo team logo patch on the right panel. Cards will be sequentially numbered to 2. 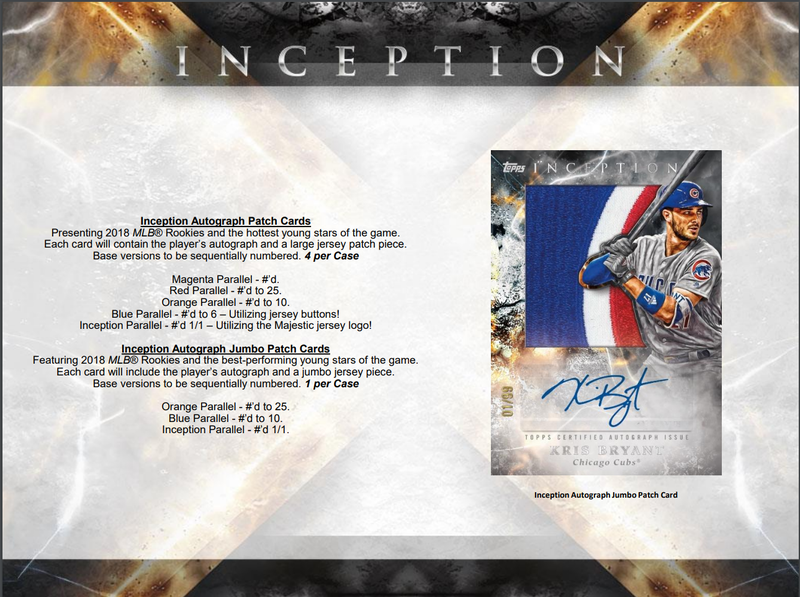 Each book will highlight a player image and an ON-CARD autograph on the left panel and a jumbo letter patch from a jersey nameplate on the right panel. Cards will be sequentially numbered to 2. 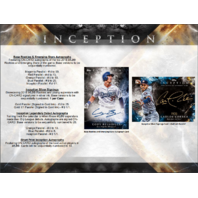 Each book will highlight a player image and an ON-CARD autograph on the left panel and a jersey laundry tag on the right panel. 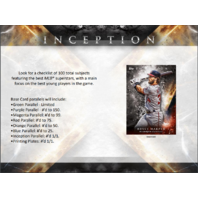 Cards will be sequentially numbered 1/1. 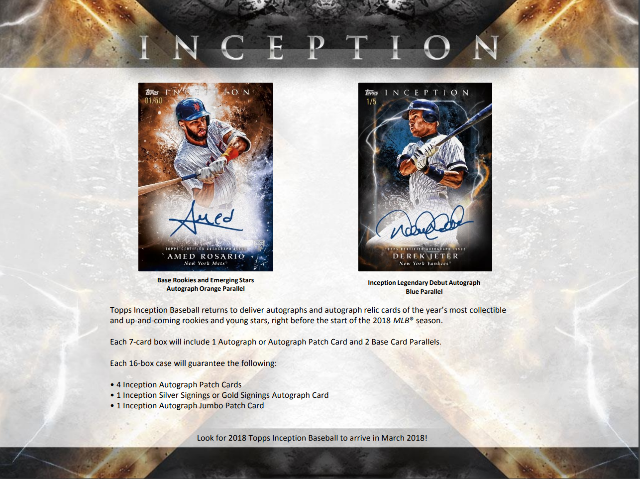 Each book will highlight a player image and an ON-CARD autograph on the left panel and an MLB Silhouetted Batter Logo Patch on the right panel. 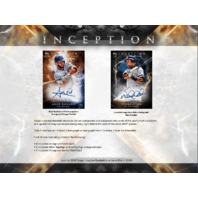 Cards will be sequentially numbered 1/1.